Mahiki Kensington guestlist — Tuesday. We are very enthusiastic to be hosting at Mahiki Kensington every Tuesday and propose you a new adventure. Mahiki Kensington guestlist develops on the same lines of Mahiki Mayfair. Mahiki Kensington allows guestlist only on Tuesday for now. Therefore this is your best chance to come and visit it. Best award-winning cocktails combined with a top fish restaurant create an unique vibe. Music on Tuesday is RnB, Hip Hop and Old School. Admission is at 10pm and guestlist only. Entry policy is fair but not easy. Guys with no ladies will not get in. In this case, we suggest you to contact us for a VIP table quote. Please use the “Book A Table” form on the right. Join our Mahiki Kensington guestlist on Tuesday for an amazing middle week party! Be ready to enjoy complimentary drinks on our table.. Admission is in our Mahiki Kensington GUESTLIST ONLY. CONTACT US to be on the guestlist. To be on our Mahiki Kensington guestlist please fill the form on the right of this page with your info. We will inform you guestlist details by email or sms. Admission is strict via our Mahiki Kensington guest-list. 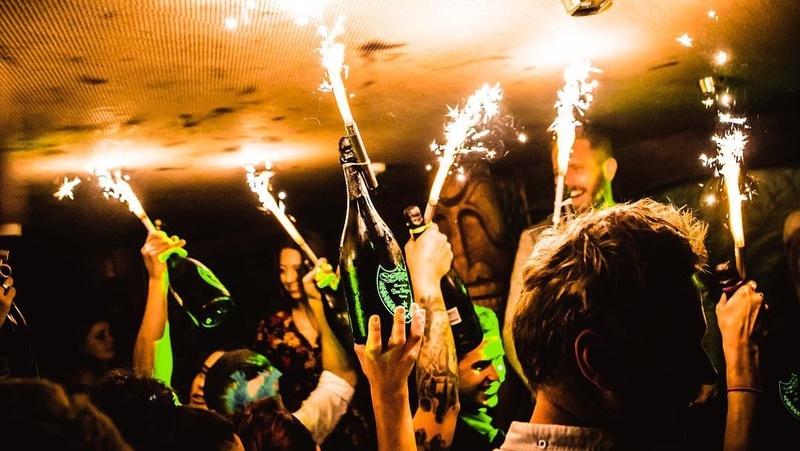 Being on an Mahiki Kensington guestlist does’t guarantee entry. The club or the security have the right to refuse entry when guests do not match club requirements.